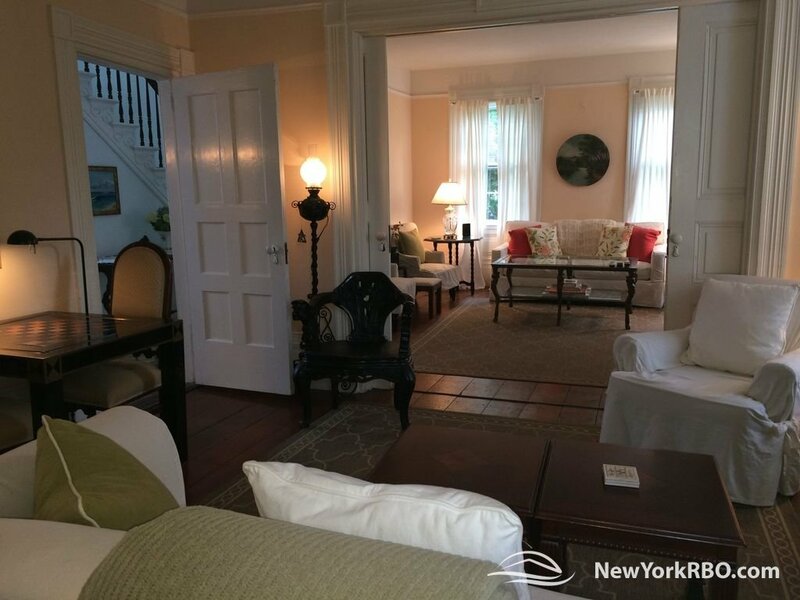 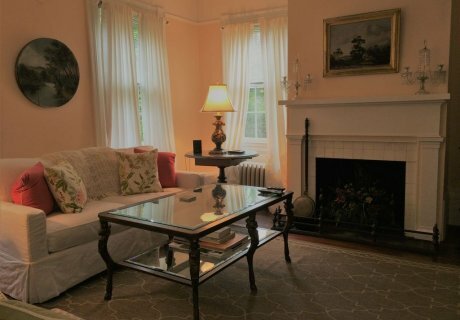 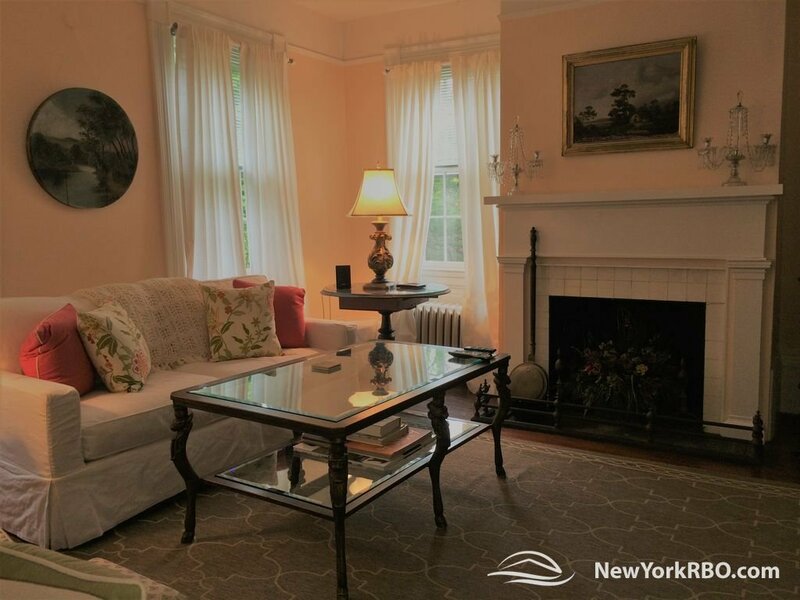 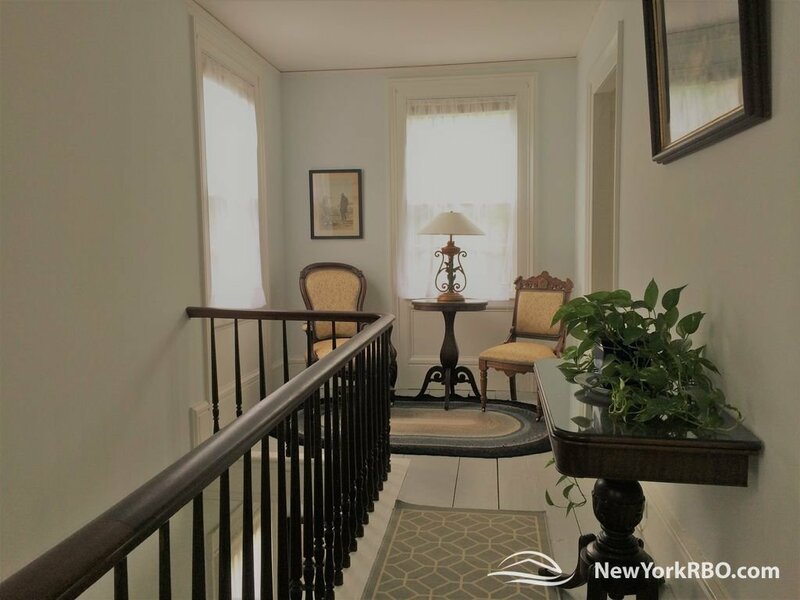 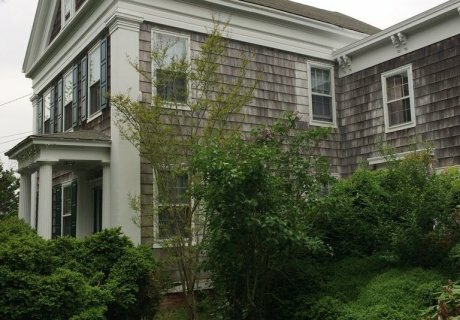 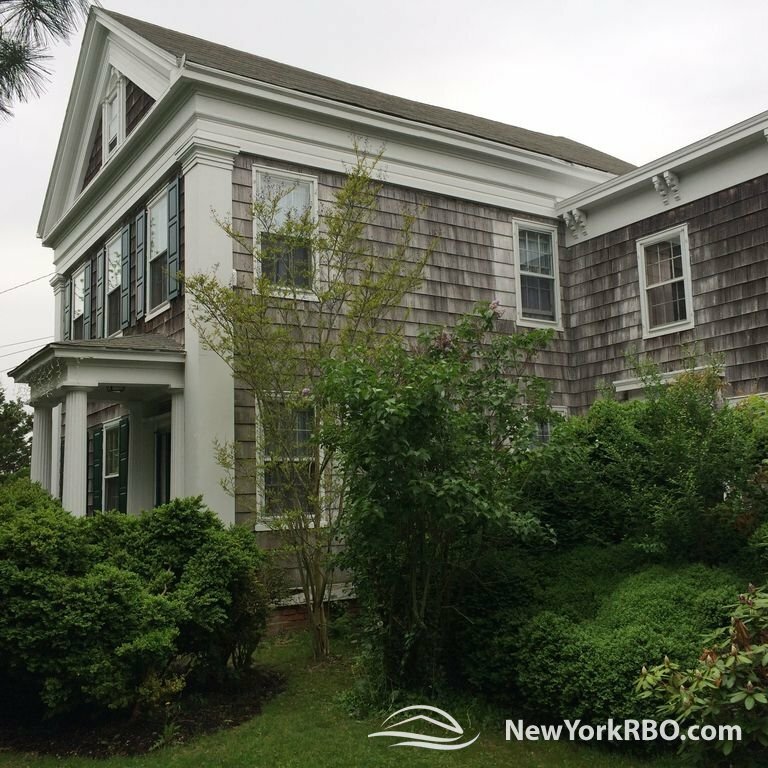 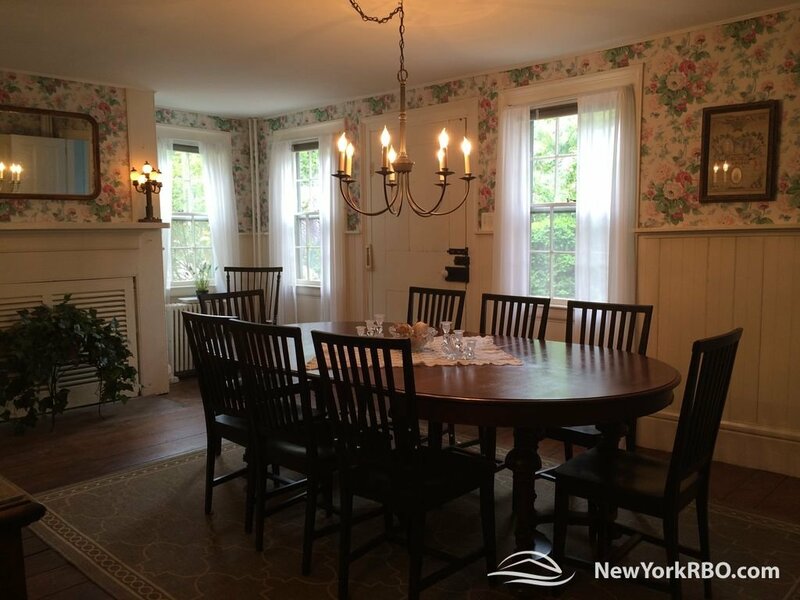 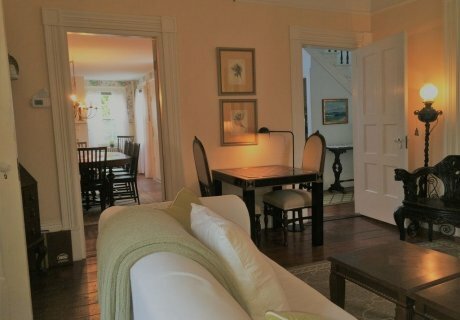 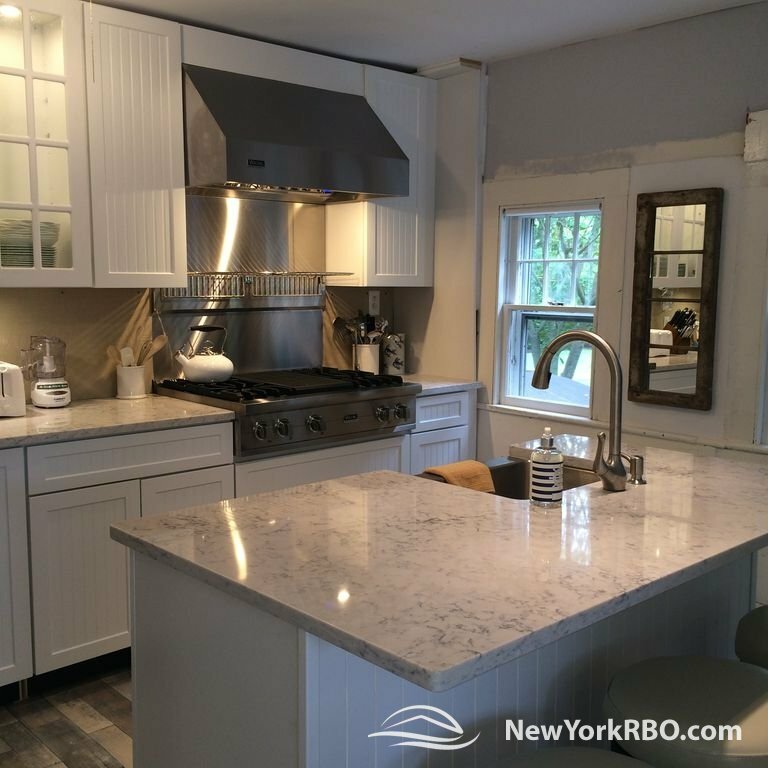 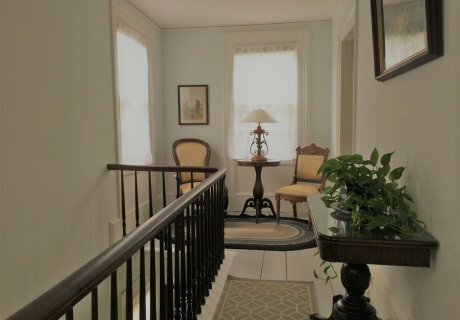 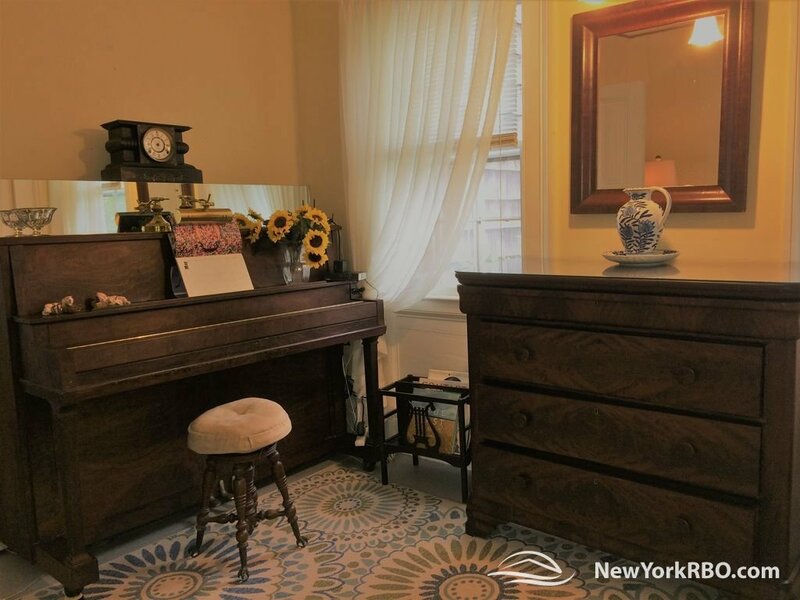 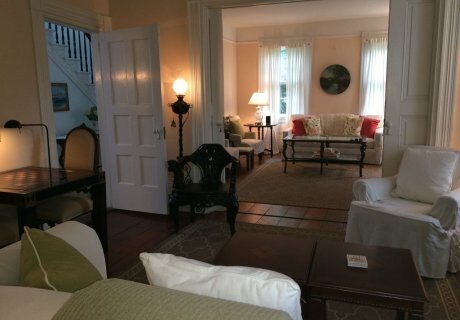 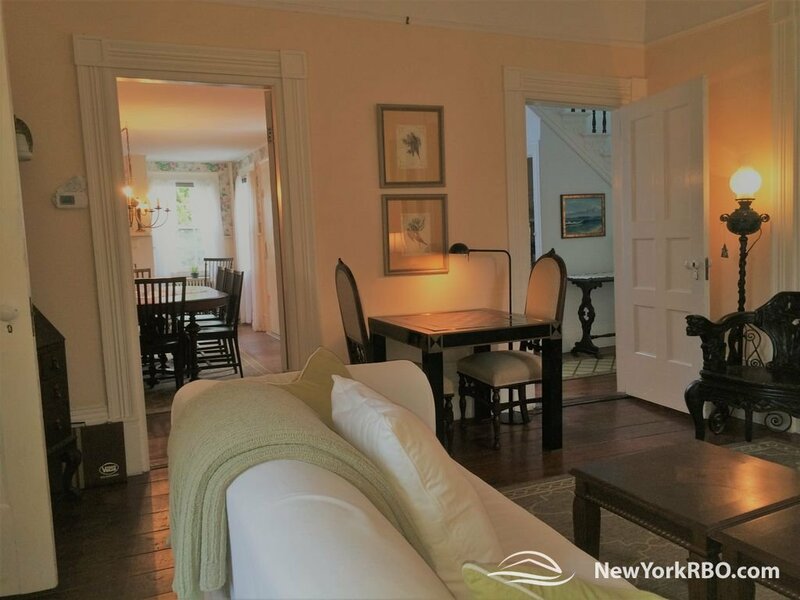 Historic Greek Revival (circa 1840) in Bridgehampton Village, NY beautifully furnished in antiques. 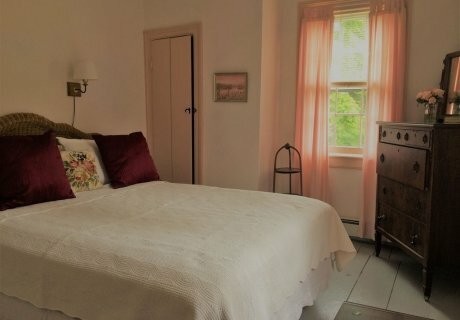 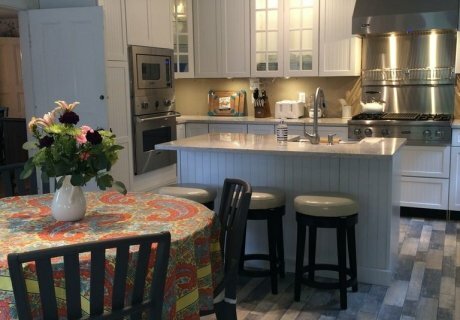 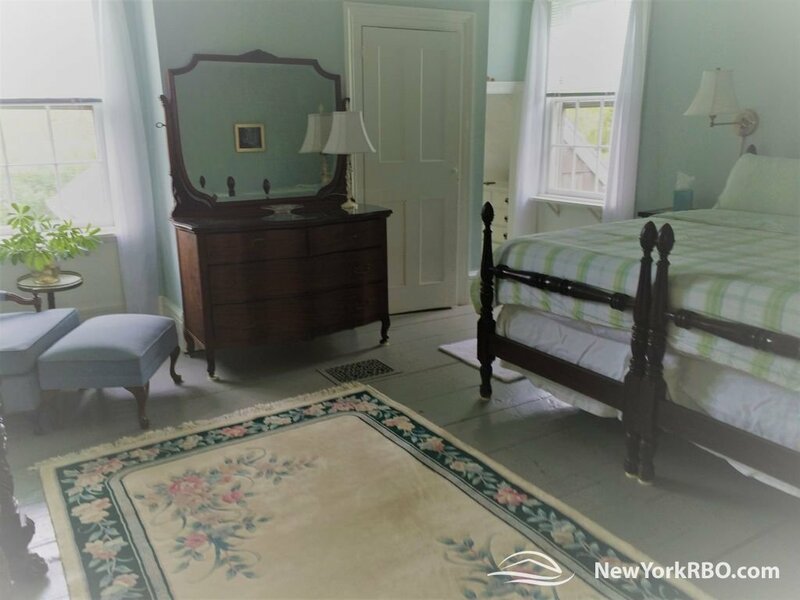 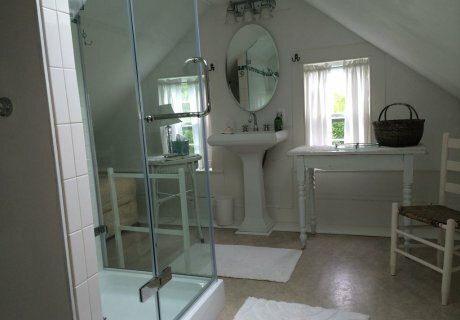 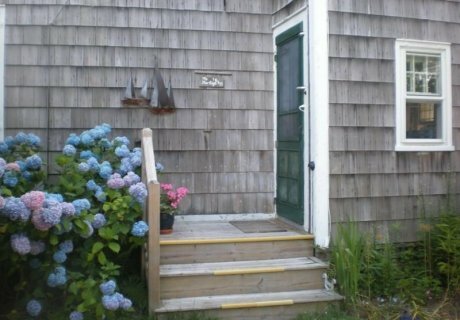 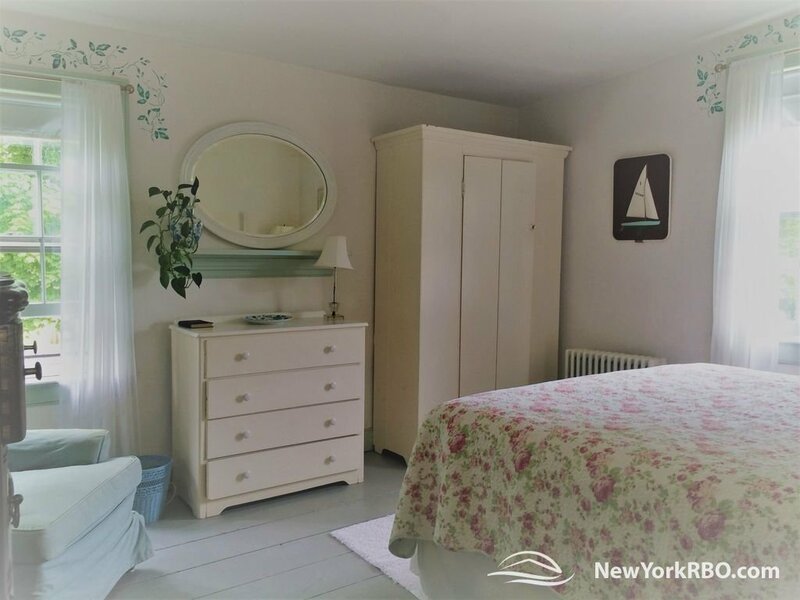 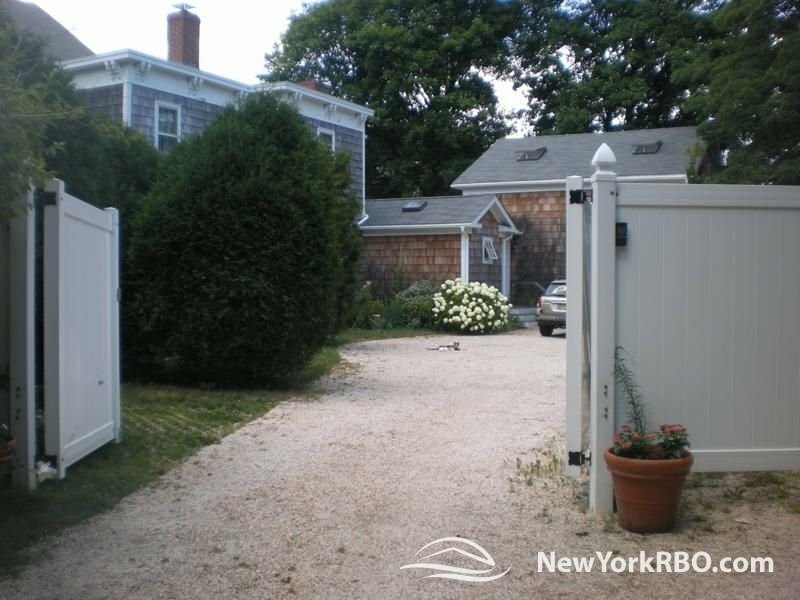 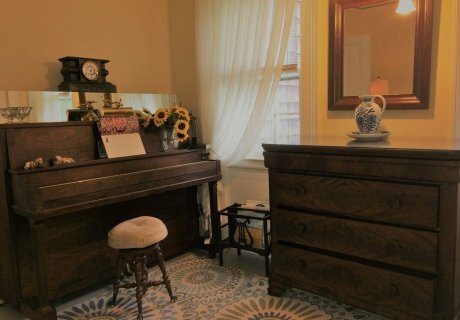 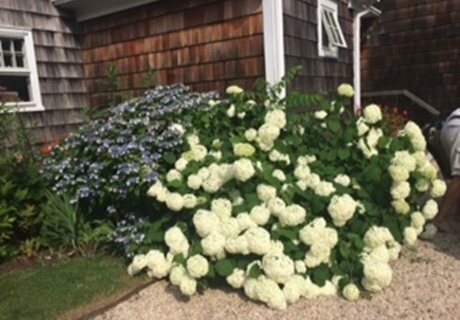 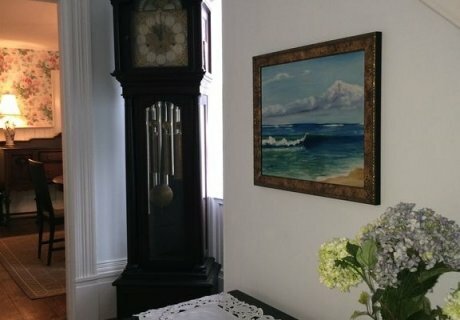 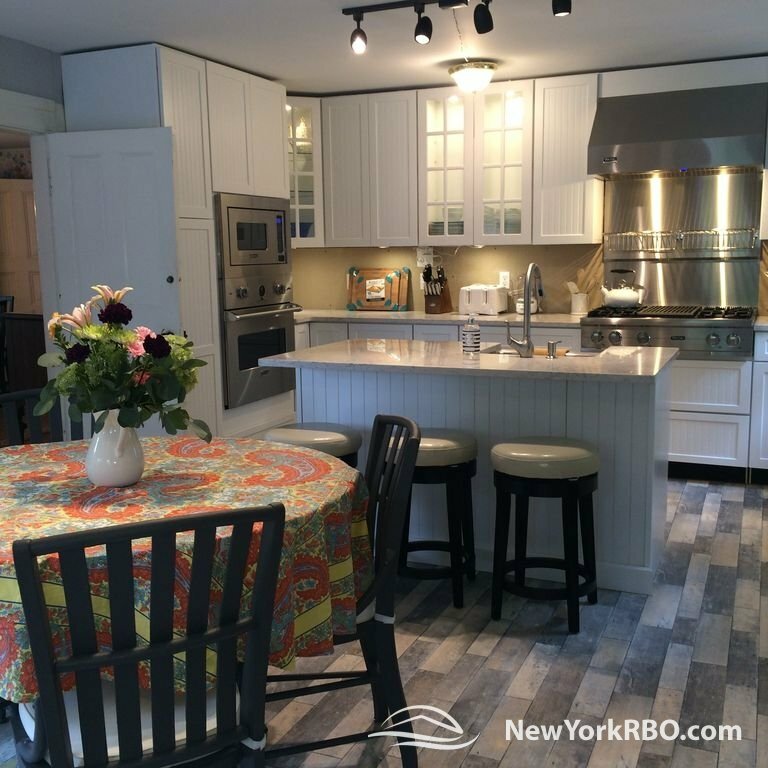 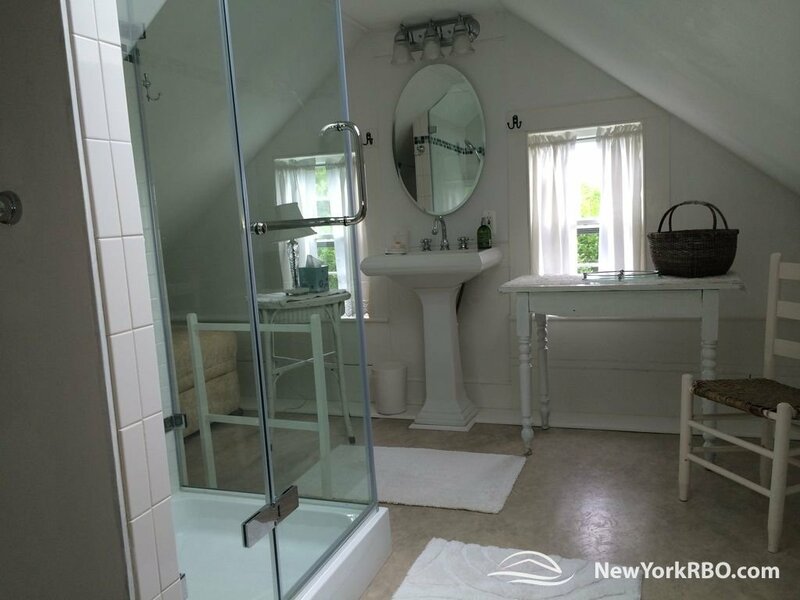 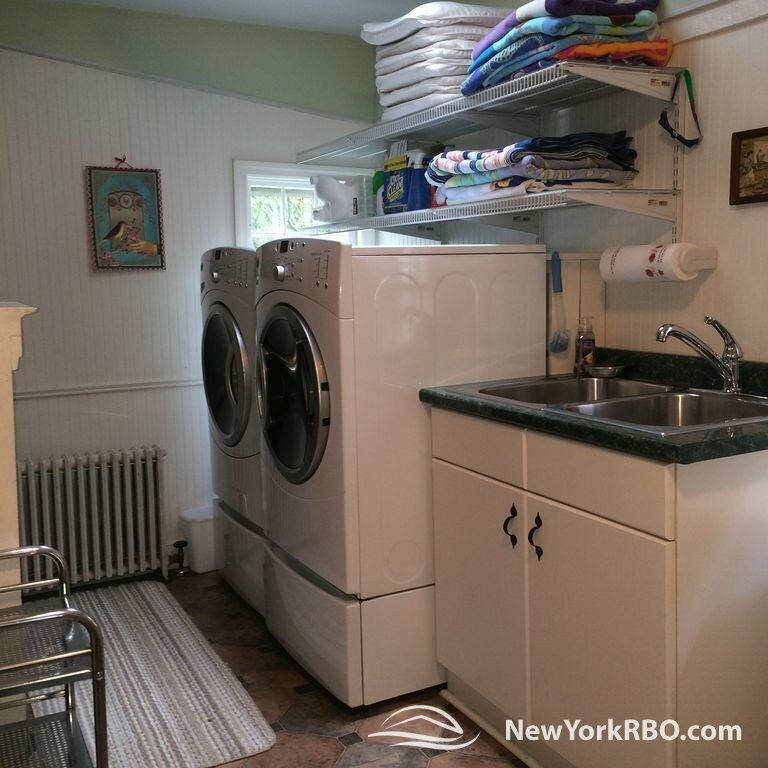 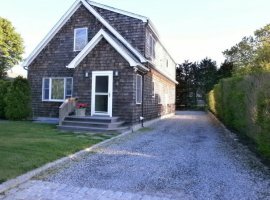 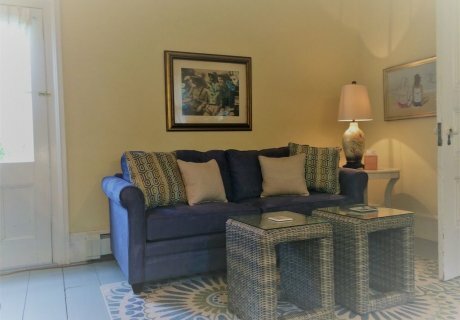 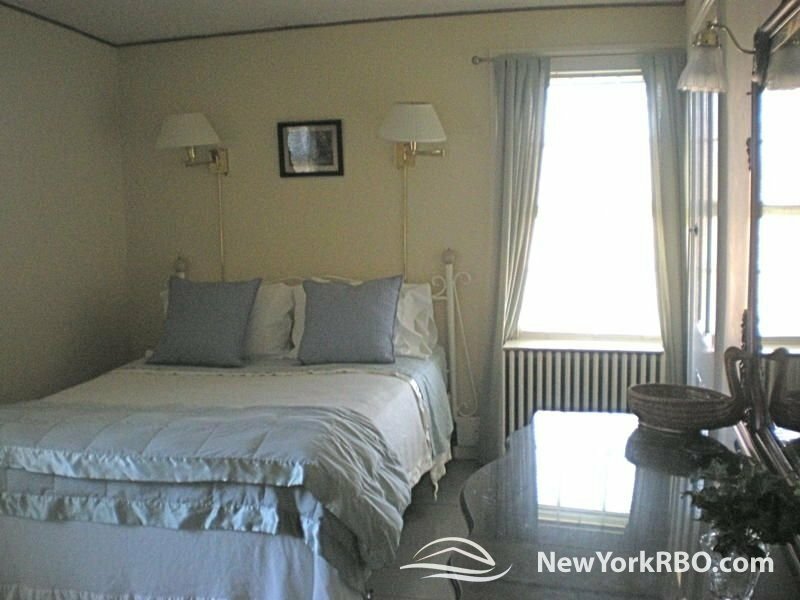 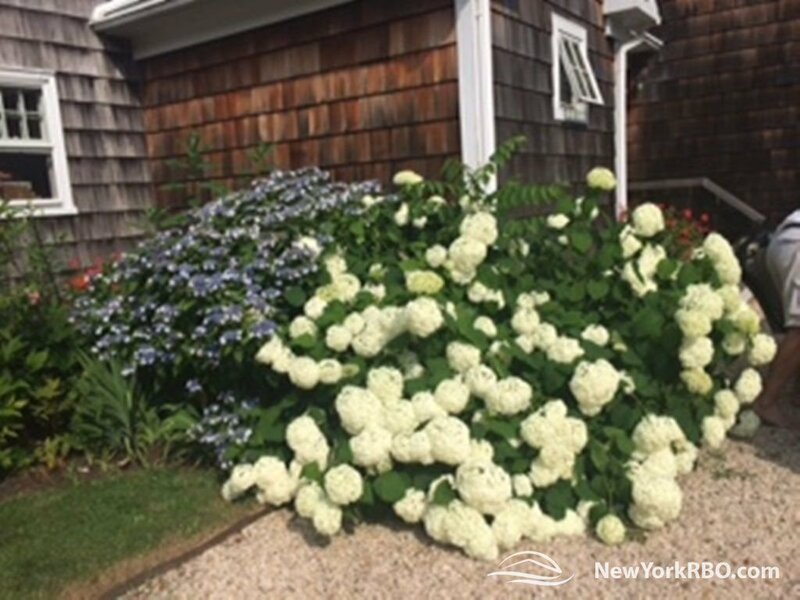 Our Hamptons vacation rentals have six bedrooms and 4 1/2 baths. 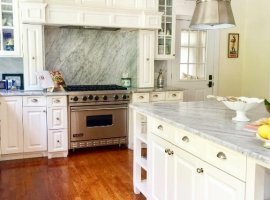 Newly-installed chef's kitchen with all-Viking appliances and newly-installed central air conditioning. Very private one acre compound with access via remote-controlled gates. 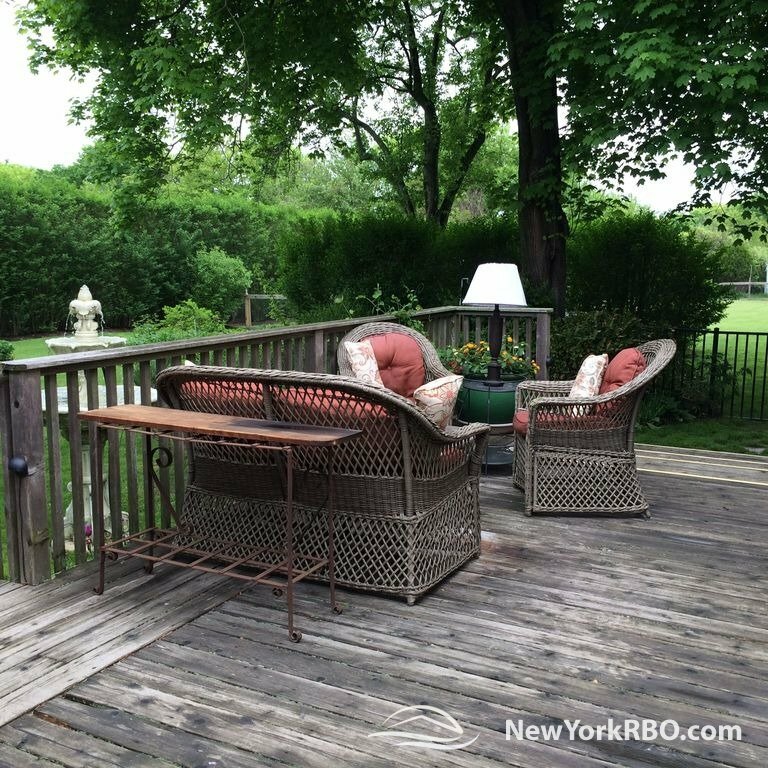 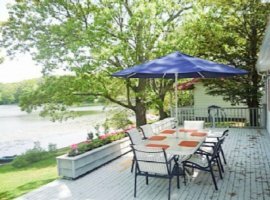 Includes huge lawns for volleyball and croquet, quiet gardens, large deck for entertaining, outdoor spa and 44 foot heated pool. 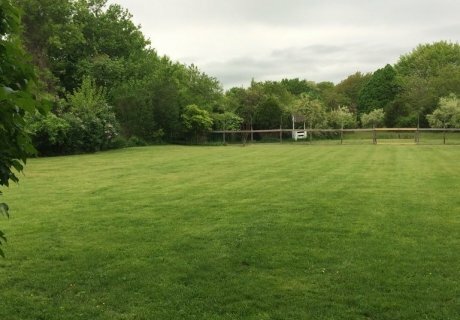 Children's play set and bouncy castle. 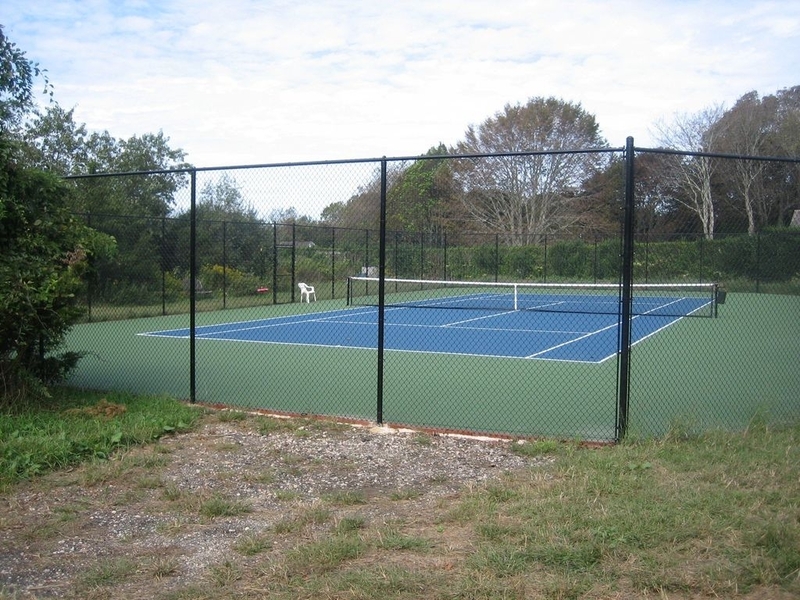 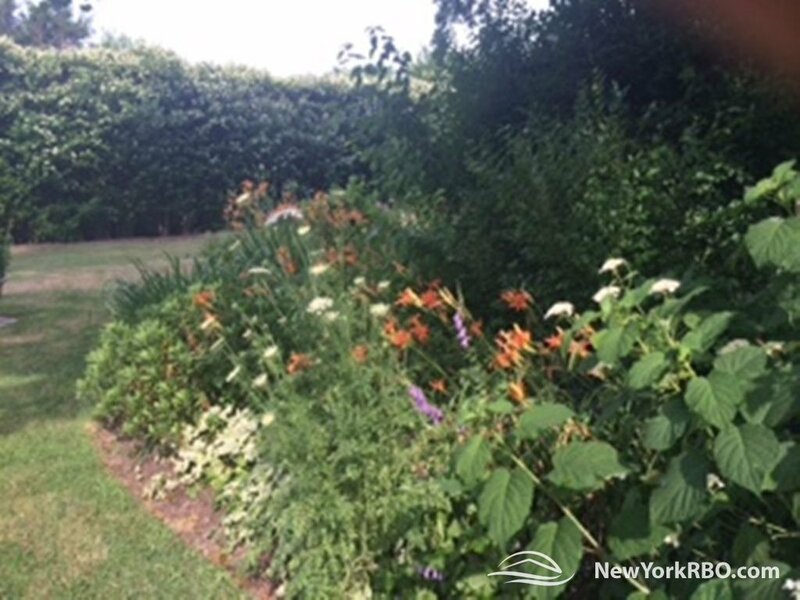 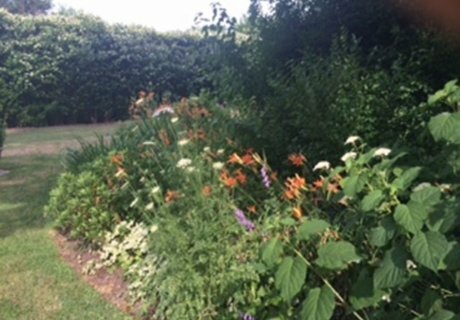 Additional two acres of tended grounds with US Open quality/color tennis court. 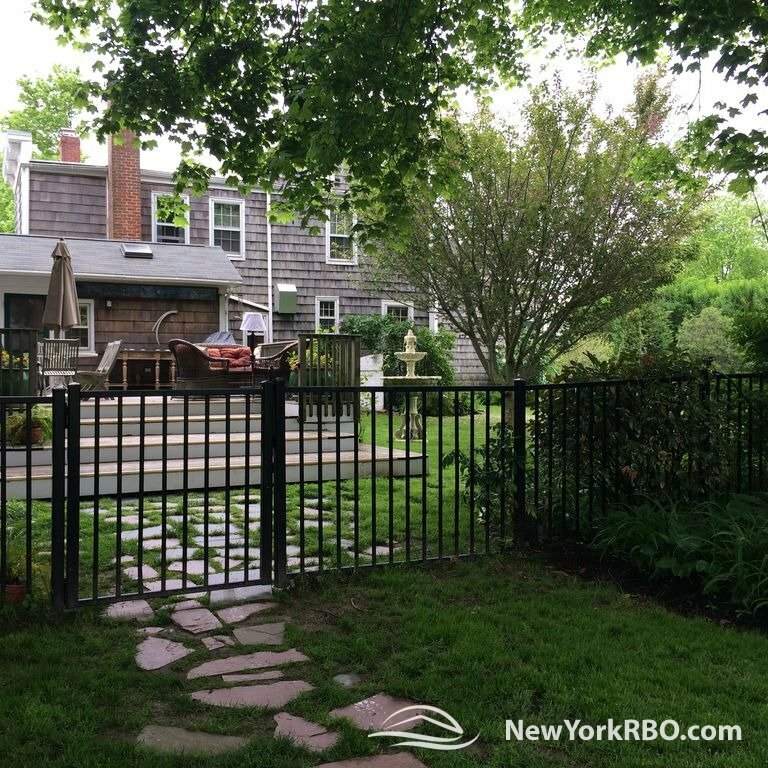 One block walk to all village shops, restaurants, and events, plus NYC bus/train. 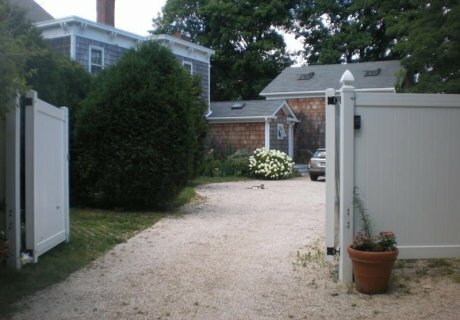 (Citarella gourmet market is across the street.) 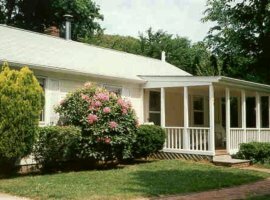 Eight miles from Shinnecock Hills Golf Club. 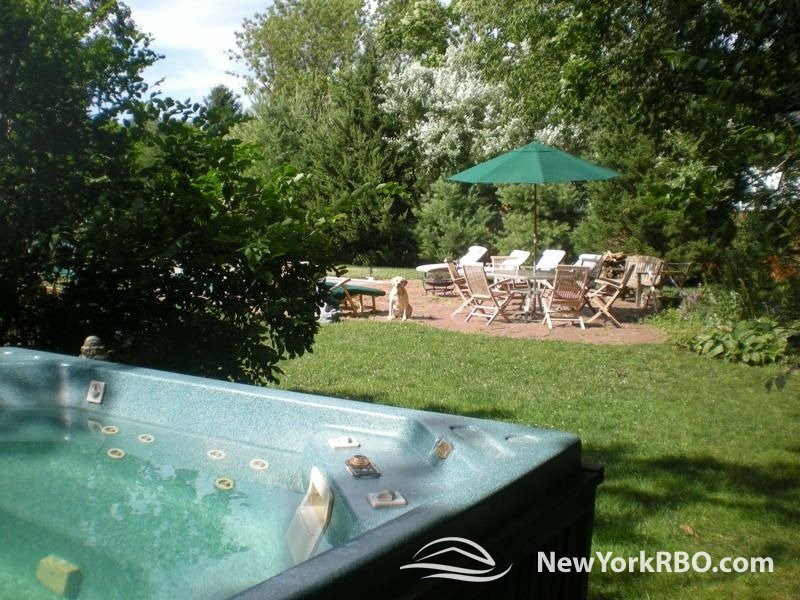 Ideal for vacationing in the Hamptons, as well as weddings and corporate events. 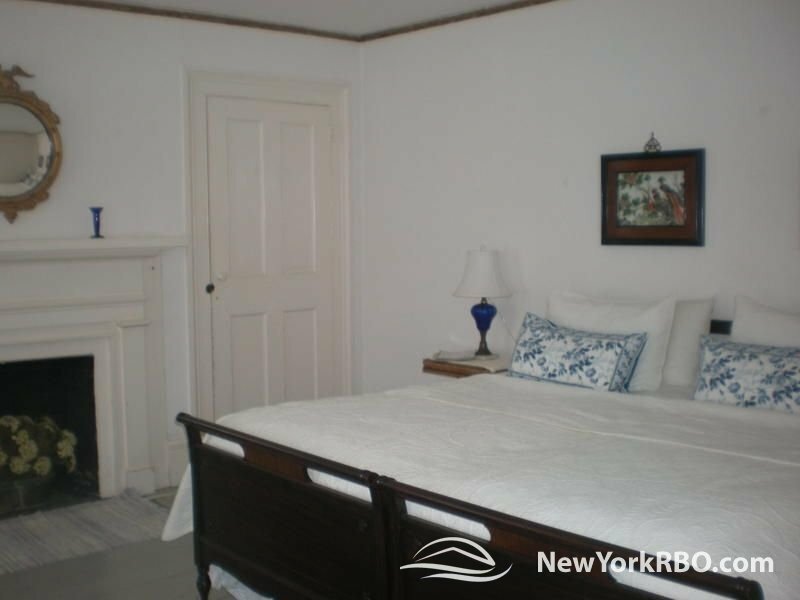 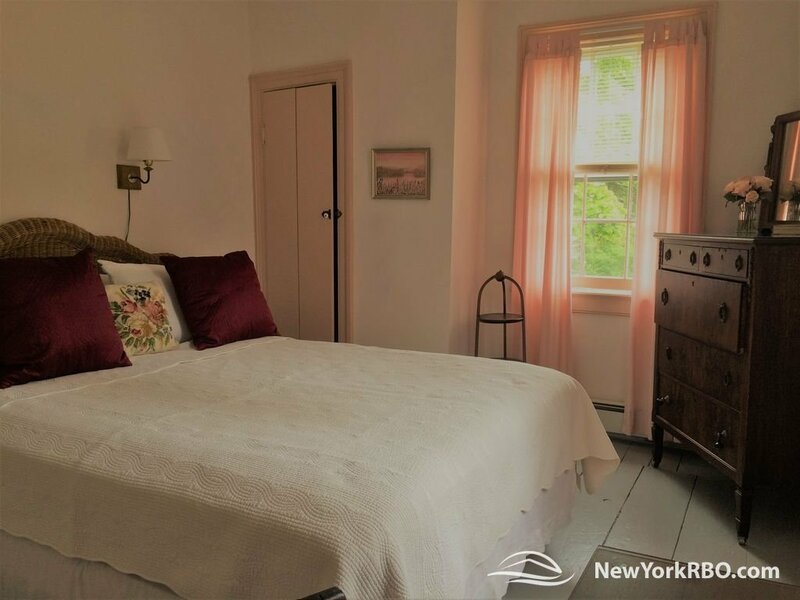 1st Floor Wing Bedroom can be turned into a guest/parent/nanny suite, complete with separate entrance, kitchen, bathroom, living room, parking, and hot tub. 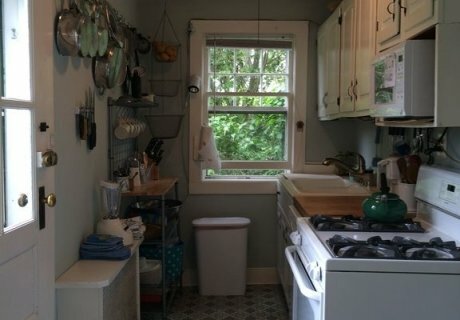 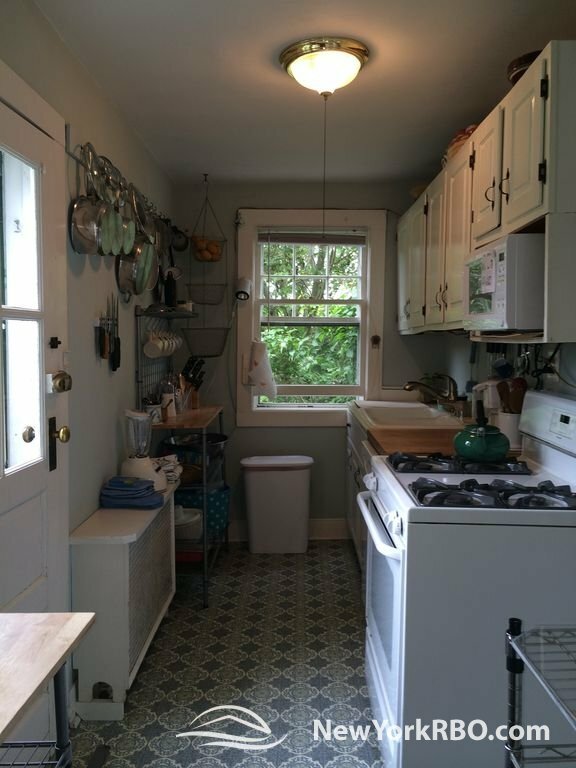 For additional consideration, also have 3rd floor with finished bedroom to sleep three on singles and open attic that sleeps four or more on singles. 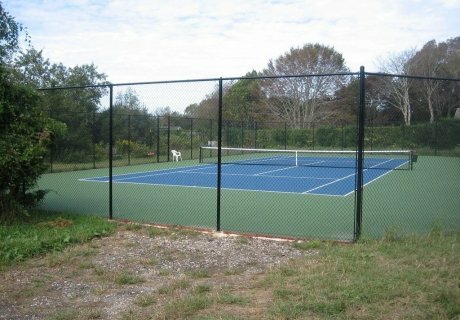 Volleyball, basketball, croquet, tennis rackets, boogie boards, beach toys, rollerblades,.... Glad to provide anything else needed. 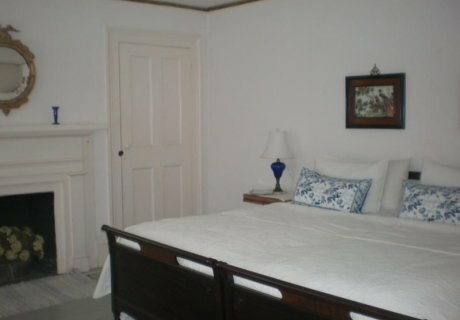 Can add additional sleeping accommodations on third floor by special arrangement. 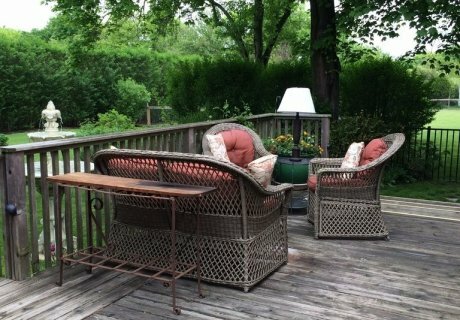 Minimum summer season rental one month; minimum off-season rental one week. 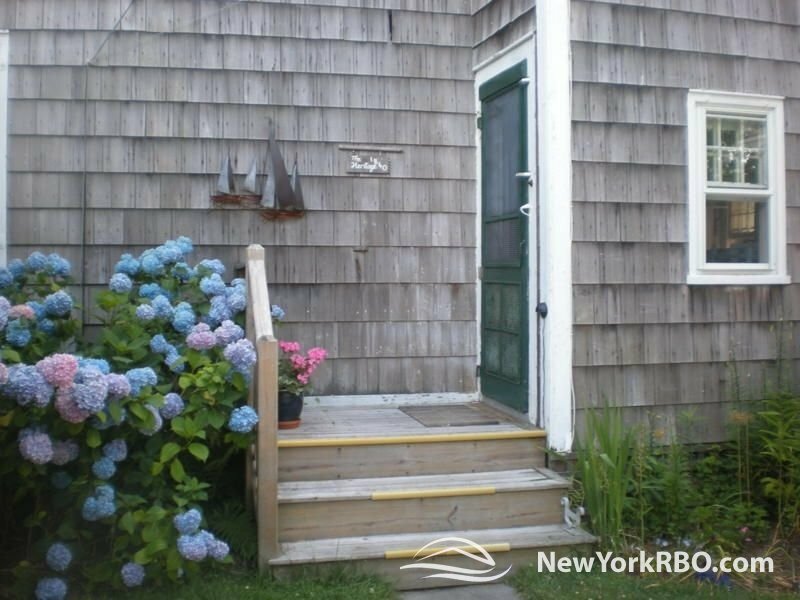 Short drive/bike to uncrowded ocean and bay beaches. 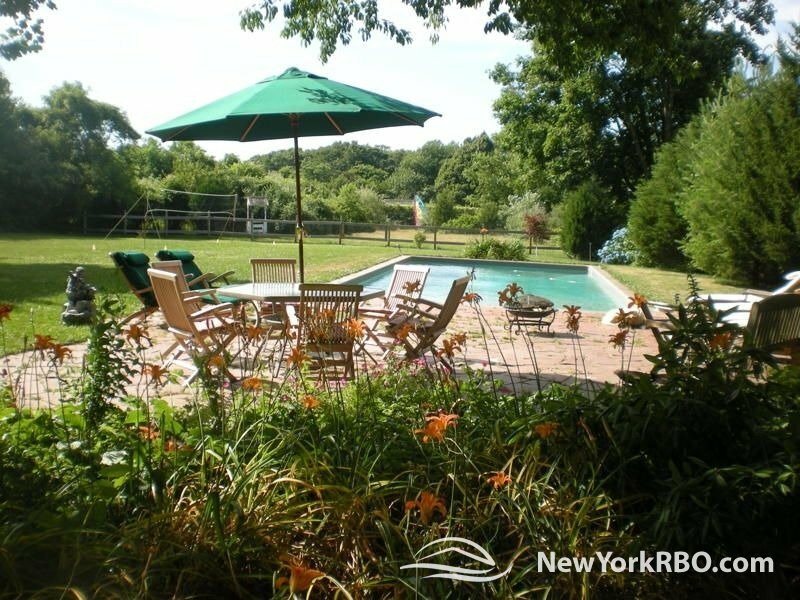 Many cultural activities and events, including Hamptons Music Festival, Bay Street Theater, Hamptons Film Festival and Bridgehampton Horse Show. 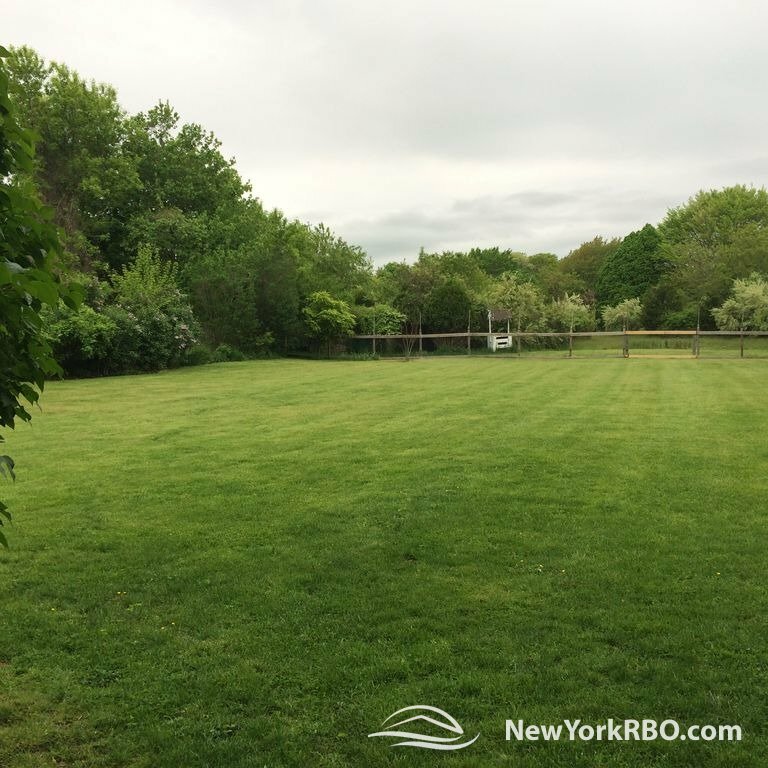 Nature preserves, hiking trails and kayak tours. 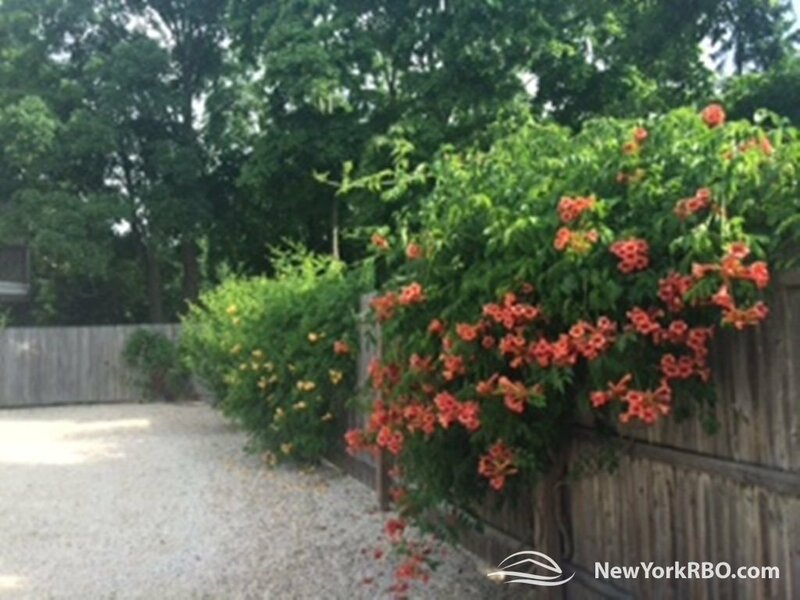 Walk to restaurants, shopping and events in Bridgehampton Village, as well as to New York City buses and trains. 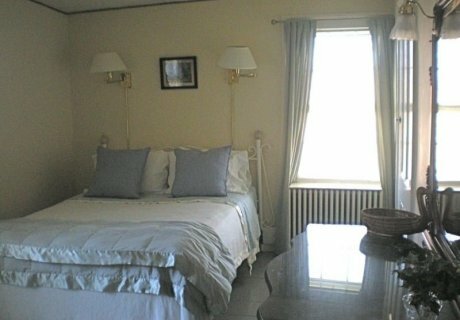 Remaining availability in 2013 summer season: last week in June and mid-September through October. A lovely home and grounds for gracious entertaining and having large-scale family fun. 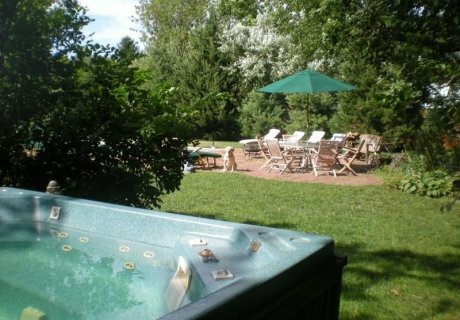 House comes equipped with all amenities/toys needed for summer fun - and if we don't already have it we'll get it for you. 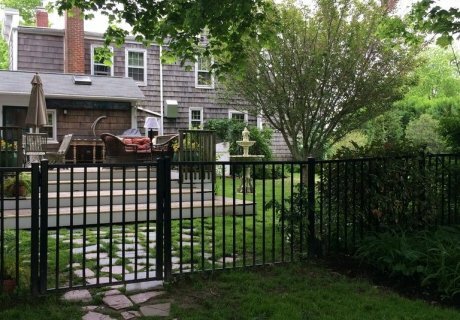 Once you're inside the gates you wouldn't know you're right in Bridgehampton village, with train and bus only a block away. 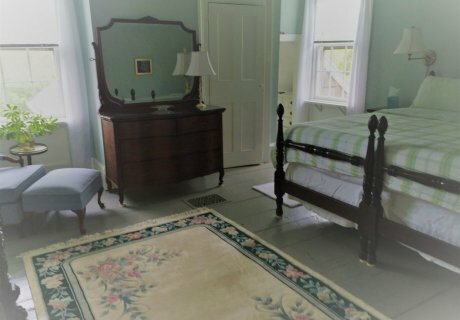 suitable for elderly or infirm. 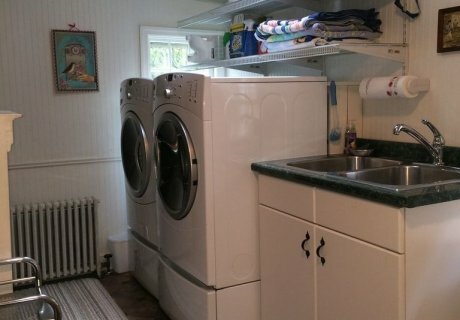 A retired school nurse and an engineer/home handyman. 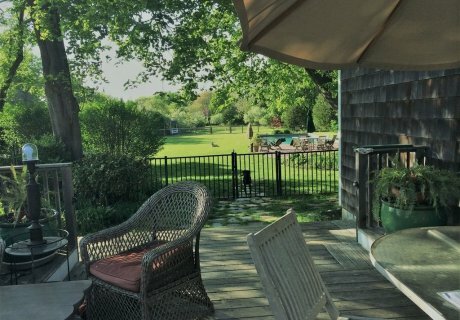 We live in a north Jersey lake community when we're not in Bridgehampton. 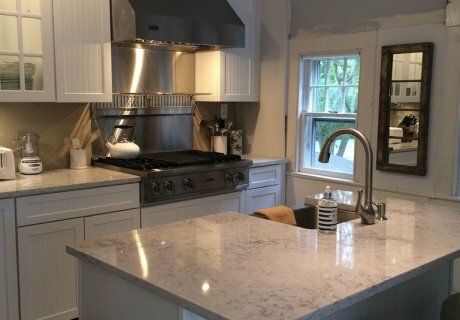 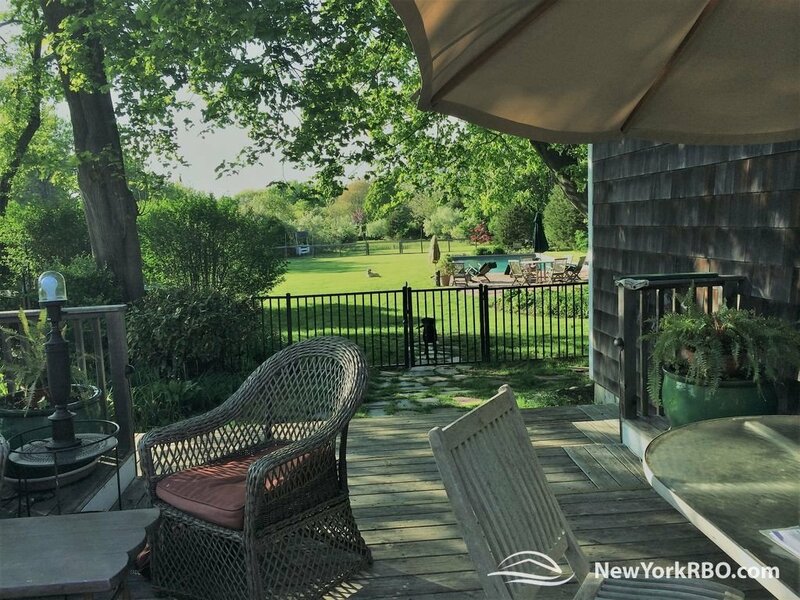 Have It All in Heart of East Hampton Village! 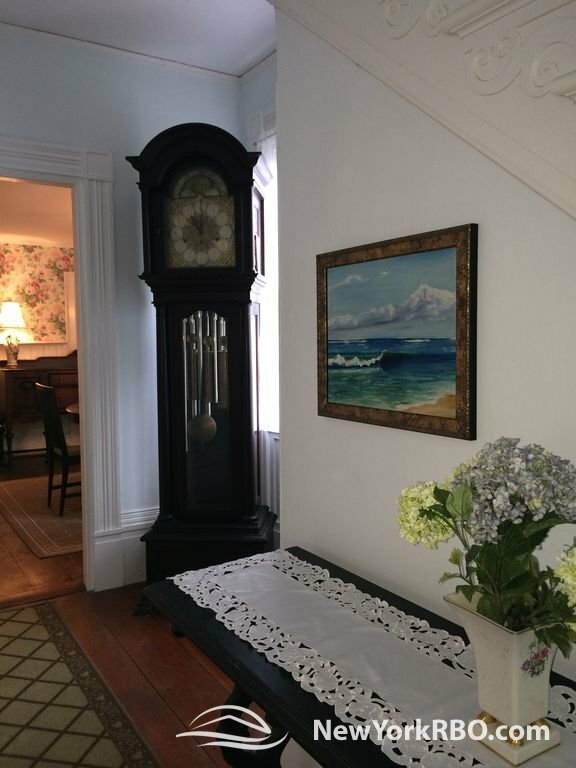 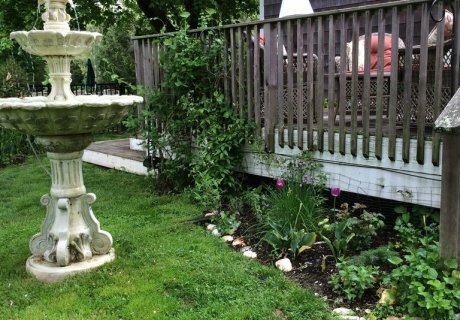 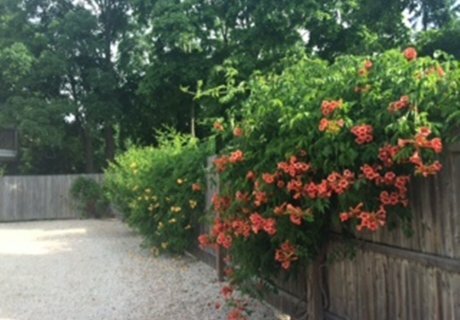 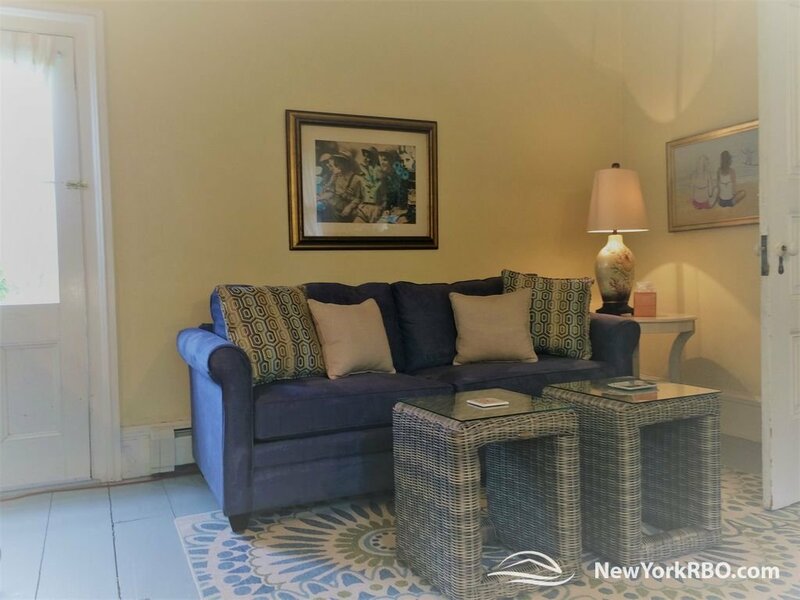 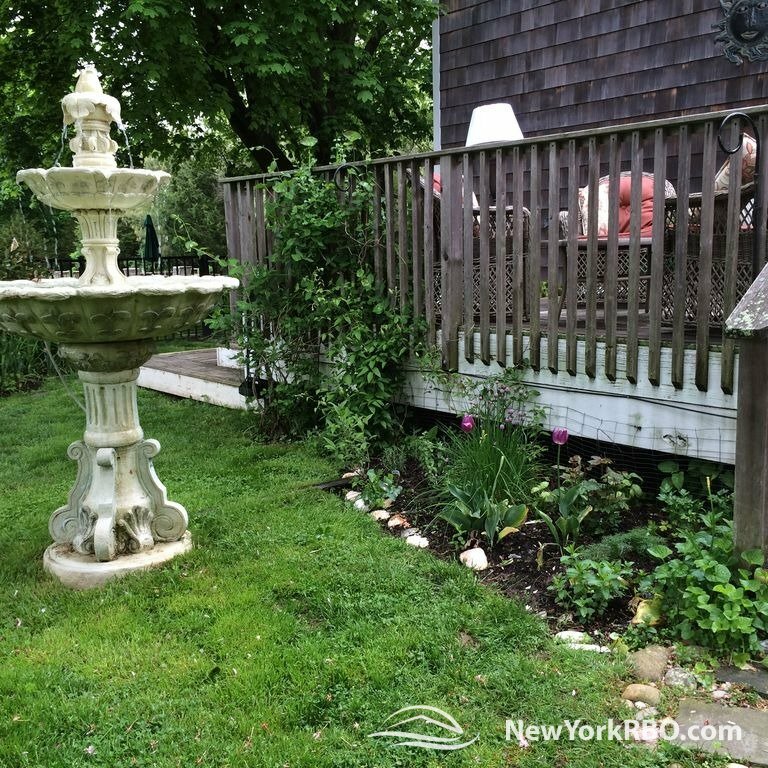 Perfect Southampton Village Getaway - July Specials!